This is my first time reviewing the Mazda CX-5 in nearly two years. Immediately, the exterior design changes of the 2017 model caught my eye. Clearly Mazda had decided to upmarket their vehicles. The Mazda KODO: Soul of Motion design philosophy creates a vehicle that has a sense of motion even when it isn't moving. The Soul Red Crystal Metallic paint really helps the 2017 Mazda CX-5 Grand Touring feel almost alive! You can see how the light plays off the reflective qualities of the paint! And the large 19-inch alloy wheels further enhance the look! The SKYACTIV-G 2.5L engine is more than powerful enough for all of your driving needs. You get 187 Horsepower with 31 MPG on the highway and 24 MPG in the city. 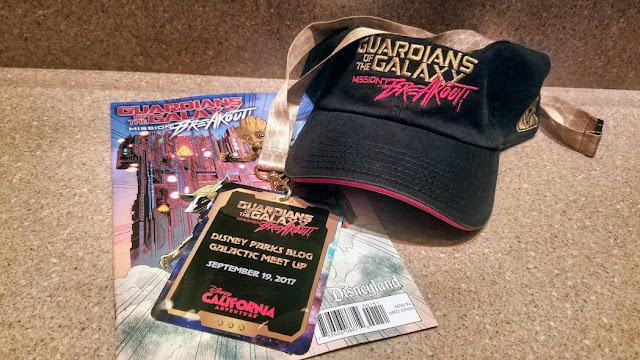 Let's take a look at my week of some really cool Disney adventures including my 20th Anniversary Celebration with The Walt Disney Company, the start of Halloween Time at The Disneyland Resort and a really cool Disney Parks Blog Event for Guardians of The Galaxy - Mission Breakout! 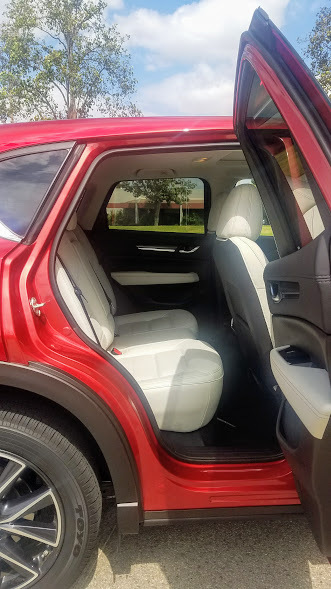 Hoping into the driver's seat you will find ample legroom and headroom! The drivers cabin is perfectly laid out. Everything is easily within reach. The dashboard gauges are bright and easy to read. 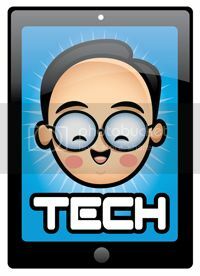 The large 7-inch touchscreen display is perfect for your audio and communication needs. 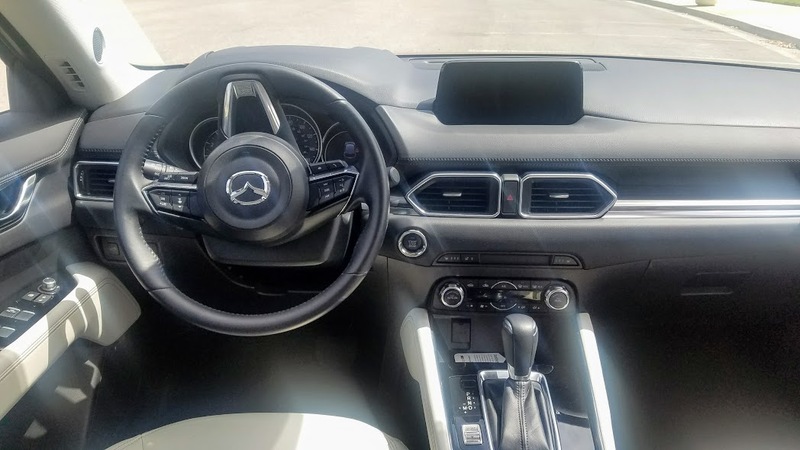 There is infotainment system voice command, SMS text message audio delivery and reply, a rearview camera, navigation system, Bluetooth, HD Radio, and SiriusXM. 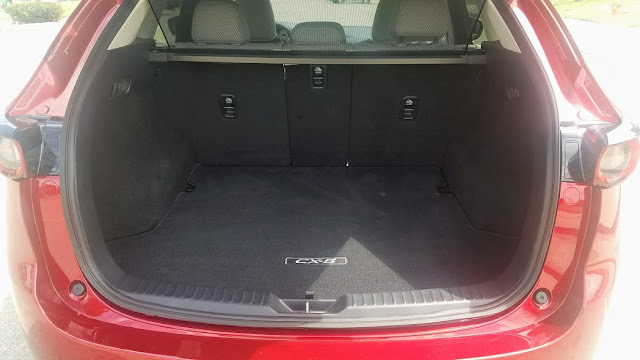 The interior is super quiet with hardly any engine noise or road noise. Plus, the 10 speaker Bose audio system is ultra-clear and helps to create a very relaxing environment. 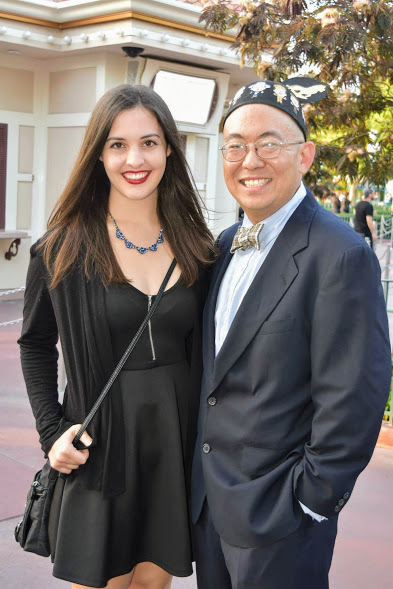 The first event for the week was to celebrate my 20th Anniversary with The Walt Disney Company! 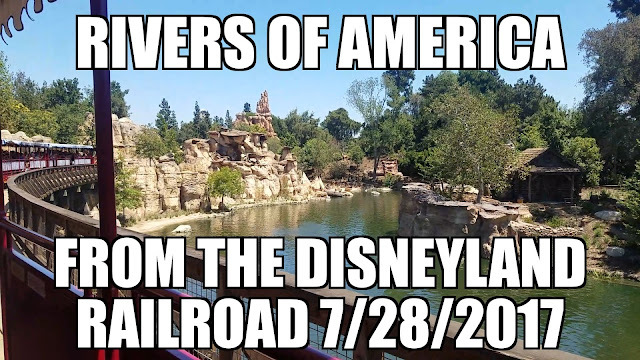 The celebration was held at Disney California Adventure! My lovely friend Sara joined me for the celebration! 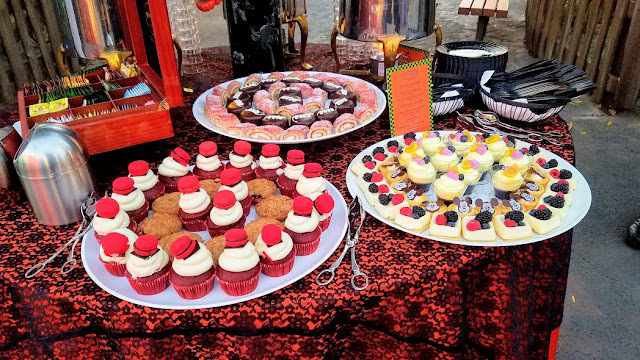 It's OK to start with dessert right? I couldn't pass up the shrimp and crab legs! The event had food and open bars, entertainment, character meet and greets, a special World of Color show created just for the celebration plus some of the attractions were open including three that had changes for Halloween Time! It was so cool to experience these attractions the night before Halloween Time started at The Disneyland Resort! Headed back to Disneyland the next morning because it was the first day of Halloween Time at The Disneyland Resort! Plenty of room to load up friends and also lots of storage for all the new Halloween merchandise! There is definitely more room to enter and exit from the second row of seating here. 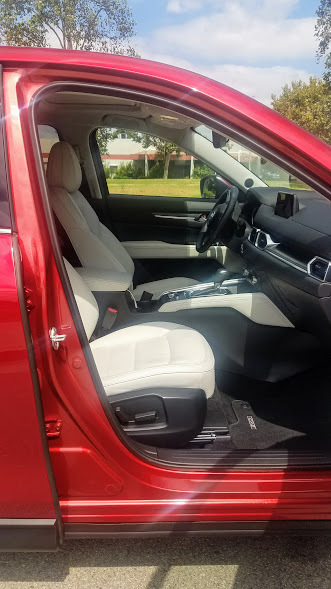 These seats are also heated with the addition of the Premium Package which also adds drivers seat memory, 6-way power front passenger seat, heated steering wheel, active driving display and a windshield wiper de-icer. Rear air conditioning vents and USB ports in both front and rear center armrests are standard. Time to meet my awesome friend Kendall at The Disneyland Hotel! But first a stop at the Coffehouse at the hotel for this delicious matcha pineapple donut! 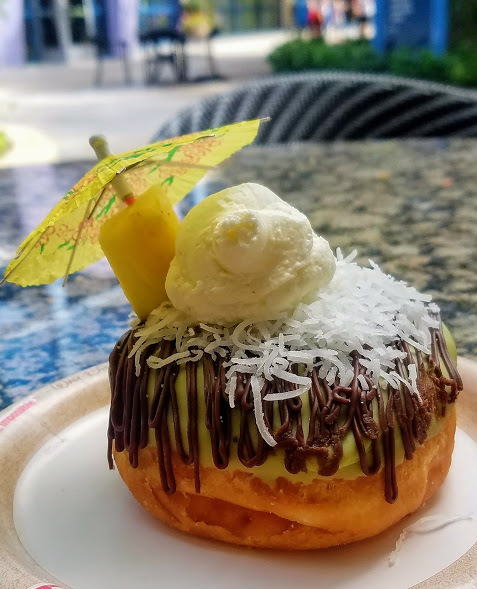 This is one of three different flavor handcrafted donuts you can only find here along with dole whip and rum and cold brew coffee with Kahlua or Bailey's! 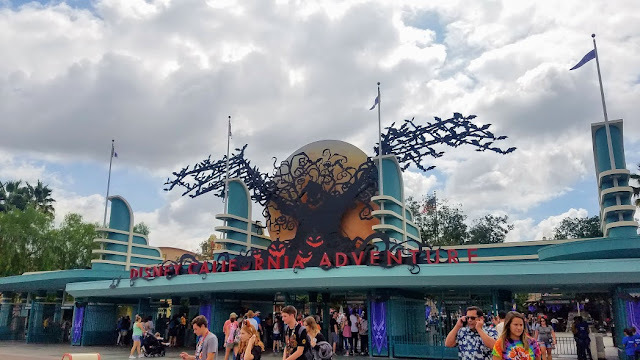 Disney California Adventure is totally decked out for Halloween this year! 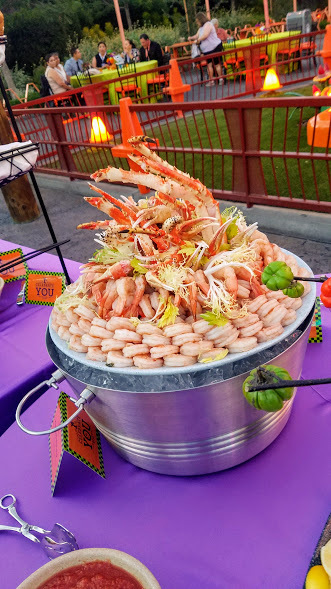 The transition begins this year to increase the number of Halloween offerings as they move the Mickey's Halloween Party to this side of the esplanade next year. 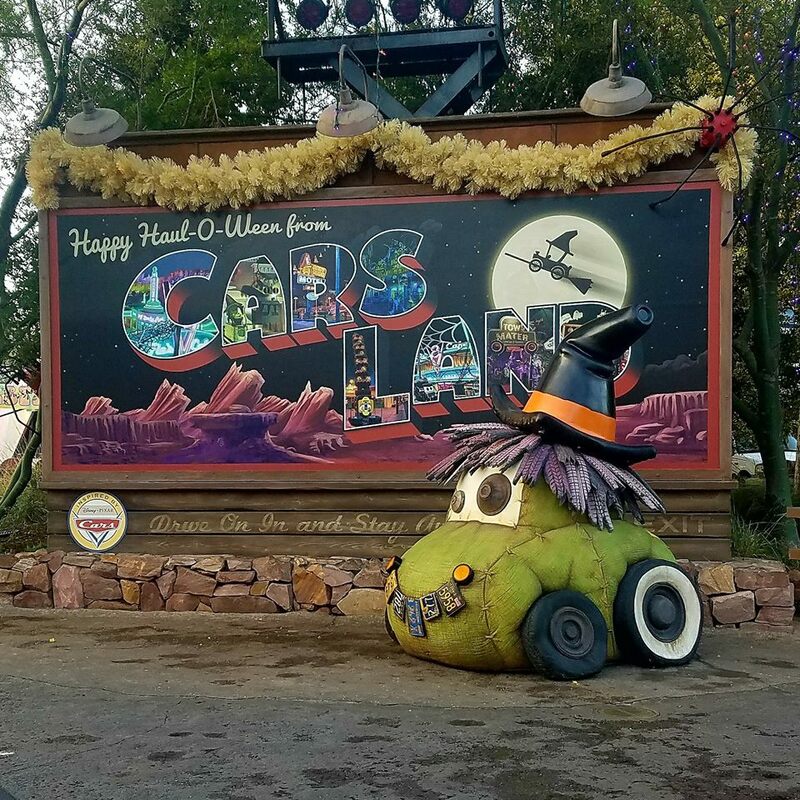 Here is a quick look at the entrance to Cars Land as they celebrate Haul-O-Ween! 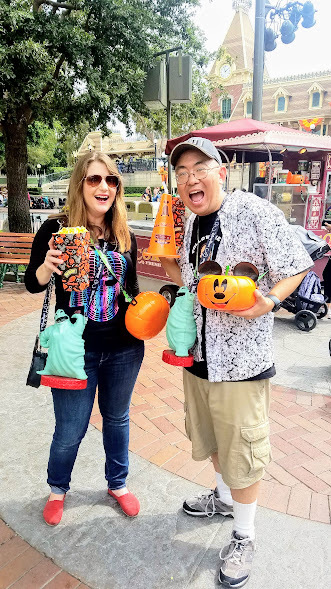 Kendall and I doing a tourist pose with all the latest Halloween Time popcorn buckets and sipper! 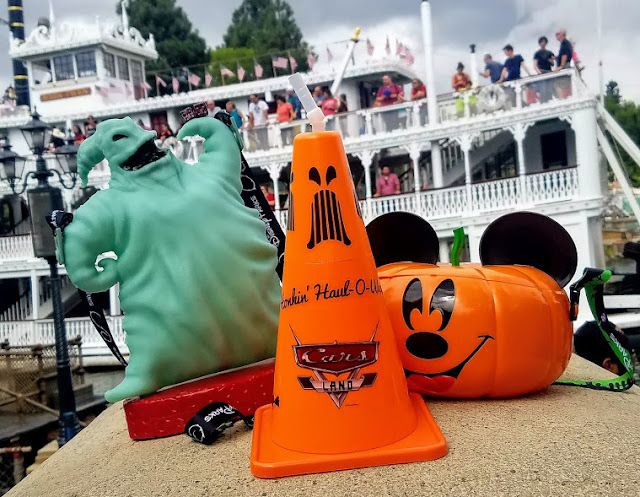 A closer look at the glow-in-the-dark Oogie Boogie popcorn bucket, the Mickey Mouse Pumpkin popcorn bucket and the Cozy Cone Cone-O-Lantern sipper! I love popcorn buckets and sippers from The Disneyland Resort! I cannot wait to see what they come out with for Holiday Time which starts in November! We might need the trunk space for all of the merchandise we bought today! 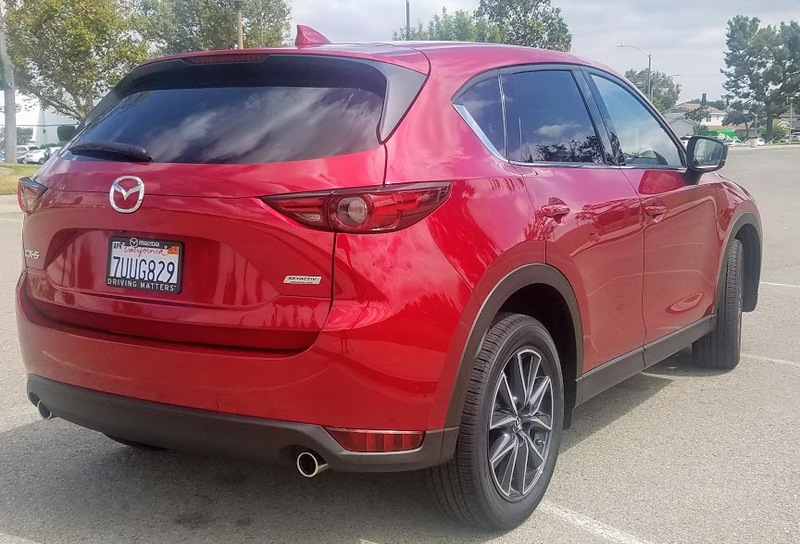 The Power Liftgate comes standard and can be opened and closed with either a button in the drivers cabin or the Mazda Advanced Keyless Entry button. 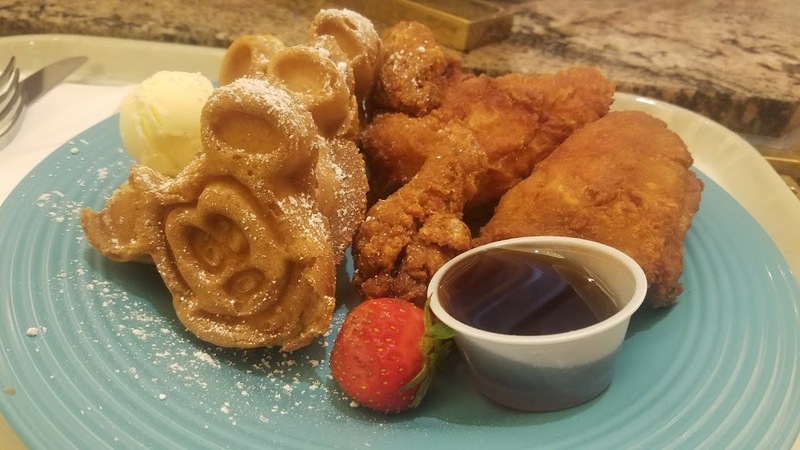 The following day, The Plaza Inn started serving chicken and waffles everyday for the foreseeable future from noon until 3pm! 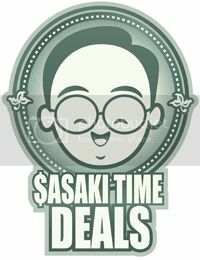 I cannot confirm or deny if I have gone twice already! 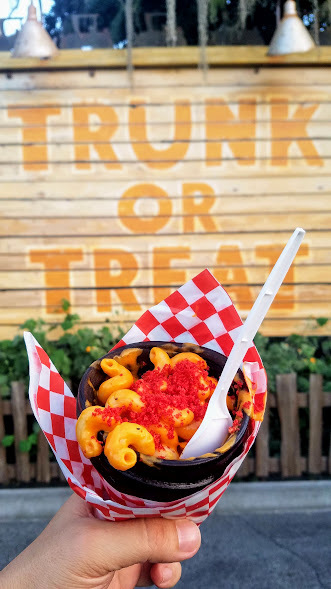 The Slow Burnin' Mac N Cheese Cone at the Cozy Cone Hotel is one of many new food offerings during Halloween Time! You get fresh-cooked pasta with spicy red pepper cheese sauce, topped with crushed chili-cheese puffs and served in a black cauldron cone! So good and a must have! 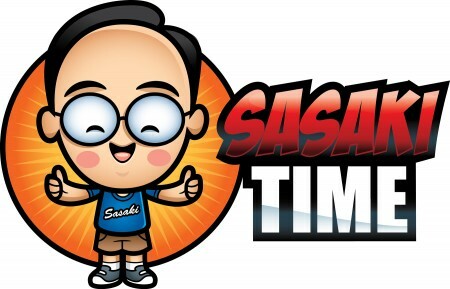 Then it was time to attend another really cool special event! This time it was for a Disney Parks Blog Meet-up for Guardians of The Galaxy - Mission Breakout with guests from NASA, Marvel and Walt Disney Imagineering! 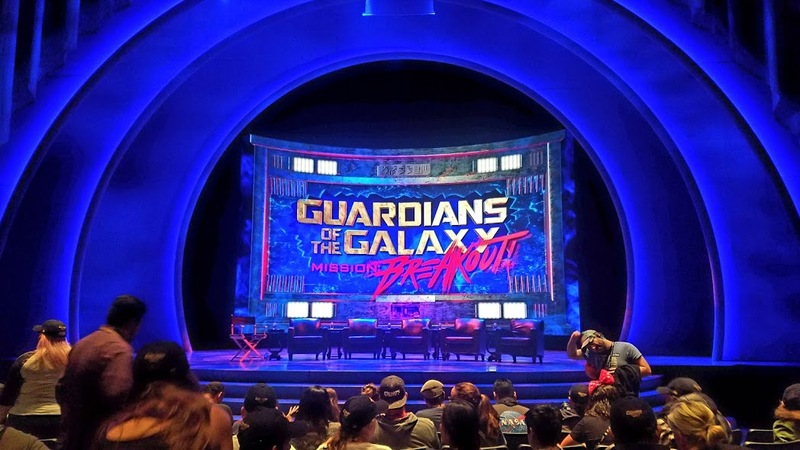 The event started with receiving some great swag and then heading off to a panel discussion before desserts, meet and greets with characters and riding Guardians of The Galaxy - Monsters After Dark that was created just for Halloween Time! Such a great way to spend an evening! A fantastic SUV with wonderful safety features including smart brake support, lane departure warning and lane keep assist, radar cruise control, advanced blind spot monitoring with rear cross traffic alert and an active driving display. 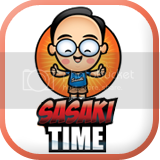 A fun to drive SUV that is perfect for you and your family! 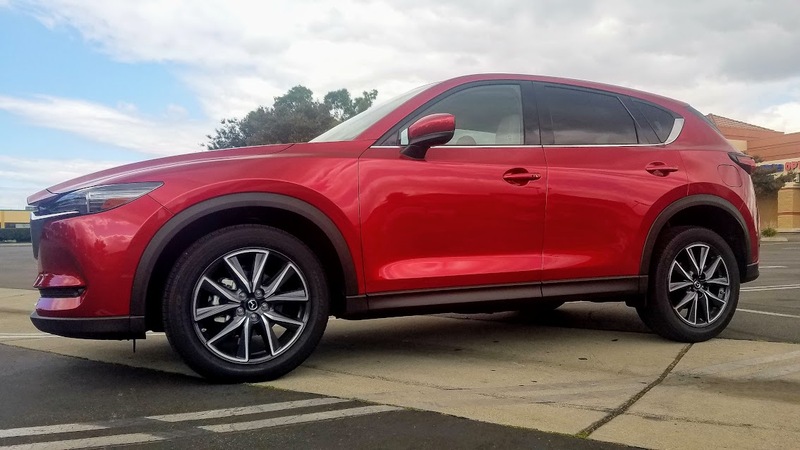 As tested the 2017 Mazda CX-5 Grand Touring came in at $33,080.00.